The Palms at Crown is a premier concert venue which is located in the heart of Melbourne’s entertainment precinct, the Crown Entertainment Complex and Casino. 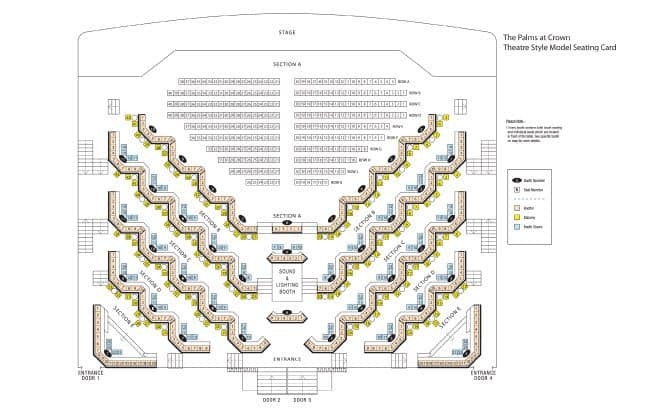 The Palms seats over 800 people and hosts a range of concerts each year ranging from live music to comedy, plays and magicians. It has it all! With so many events held at Palms at Crown, the venue has been designed to as both a concert space and a cabaret style venue. With traditional theatre seating up the front, the Palms also has elevated booths with tables where you can watch the show as you enjoy a drink. 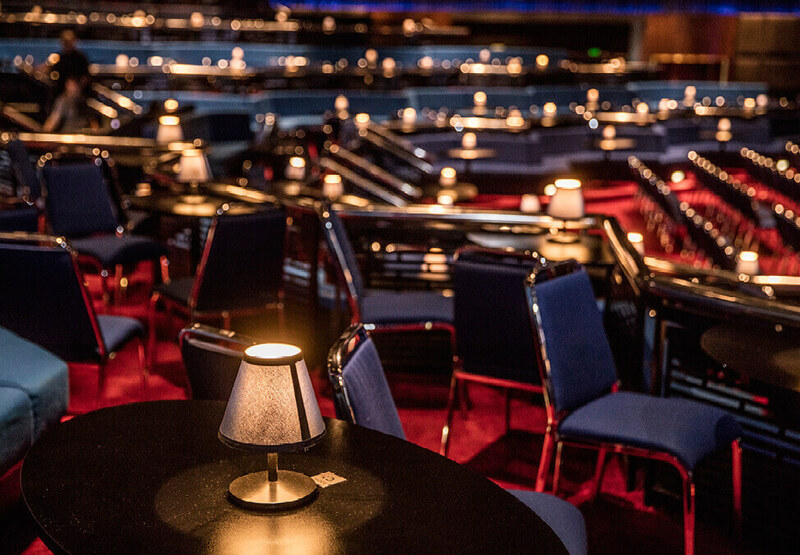 Previous acts held at the Palms have included world class comedians Jason Alexander, Wayne Brady and Martin Short; music favourites – Alice Cooper, Chris Isaak, 1927, Guy Sebastian and Jimmy Barnes; and musicals and dance acts – Burn the Floor, Buddy and Abba Mania. There is a fully stocked bar at the entrance to the venue where you can purchase alcoholic drinks as well as snacks that you can enjoy inside the venue. There is no strict dress code for the Palms at Crown, however customers are required to dress smart casual and to remain neat and tidy at all times while in the Casino. You can find the Palms at Crown on level 3 of the Crown Entertainment Complex. If picking up tickets at the venue, the box office is located on Level 1. You can get to the Palms at Crown by taking public transport, as Flinders Street Station is located just across the Yarra River. Parking is also available at Crown with a $20 flat rate in the multi level parking garage at peak times. So come and enjoy a show at the Palms at Crown, there are show scheduled every week! Tickets for the Palms vary depending on the show. Crown Casino is free to enter. Hello, I was just wondering what you get for the platinum seating and champagne, at the palms for the Crazy Horse show, is it one glass only, or a few glasses of champagne per person. It appears that you get one glass of champagne with each ticket purchased along with the best seats at a table in the front of the venue. Other drinks are available for purchase at the onsite bar.